Please note that all certified NESDCA teams are listed by the state of their corporate headquarters for reference purposes only. 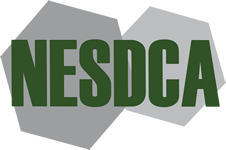 NESDCA is a certifying organization and the NESDCA certification is valid in any and all locations where the listed certified teams may legally conduct business. NESDCA does not require that a dog team be employed by a Pest Control Firm. Local or Federal Laws may dictate otherwise. It is the Team Handlers responsibility to ensure they work and inspect in accordance with the law. If you wish to be evaluated for Certification prior to our next scheduled time, please FILL OUT the appropriate form. ONLY TEAMS LISTED BELOW AS A HANDLER AND DOG ARE CURRENT NESDCA CERTIFIED TEAMS. IF ANY QUESTION SHOULD ARISE AS TO THE VALIDITY OF A CERTIFIED TEAM PLEASE CONTACT US.